Summer seems to have been and gone quicker than ever this year. And now that both my holidays are well and truly over, I am feeling as gloomy as these shots. Shooting in twilight is pretty tricky, but even though these aren't the best quality shots, I feel they fit the mood just right. It may be getting grey, but it's not quite cold yet. 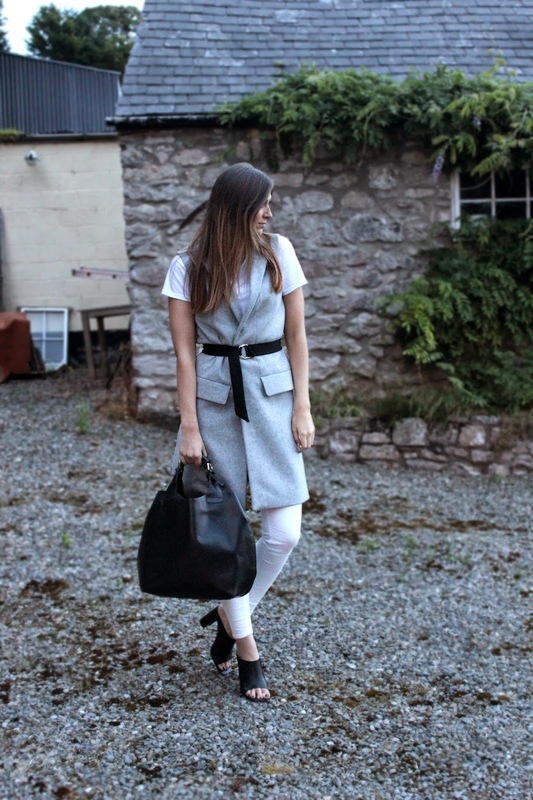 So I decided to team up my grey moleskin Zara waistcoat with some plain white jeans and a Tee. A simple outfit that, with some black accents thrown in, looks a little less boring. 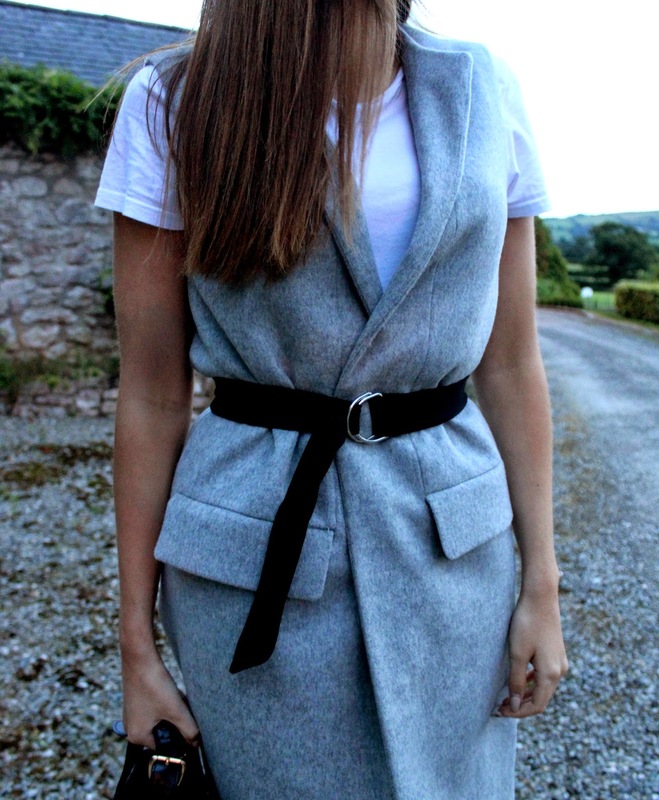 I decided to clinch this waistcoat in for a change, and I used a belt from a Zara sale buy crop. I actually bought the top mainly for the belt, as I knew it would go with so many things as a more slouched and relaxed play on a belt. I kept this simple with all plain black accessories and dusted off my old Zara shopper to finish off the slightly androgynous look. Beautiful outfit. I love the way these images have been shot. Looks like a catalogue!